I finally managed to paint up some of the extra characters for my Afghanistan games. 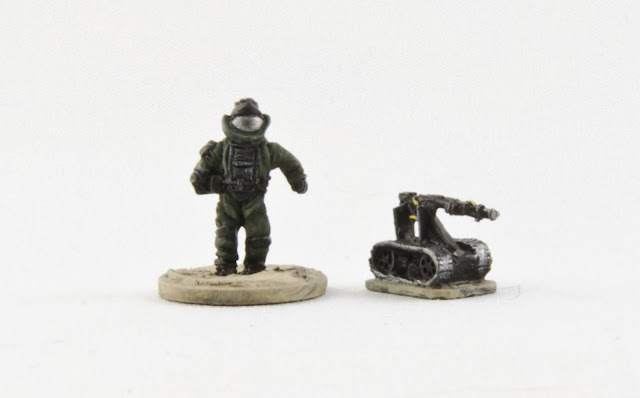 These guys will only come out when needed for specific scenarios, so they were low on my priority list, but now that I have them I can run some hostage-rescue and EOD-protection scenes. These guys are only part of the Peter Pig set, and they are really nice figures. I still need to do the robot controller and the IEDs. I was quite happy with these figures. Still need to paint the bases, but these guys are almost there. The figures are from QRF. 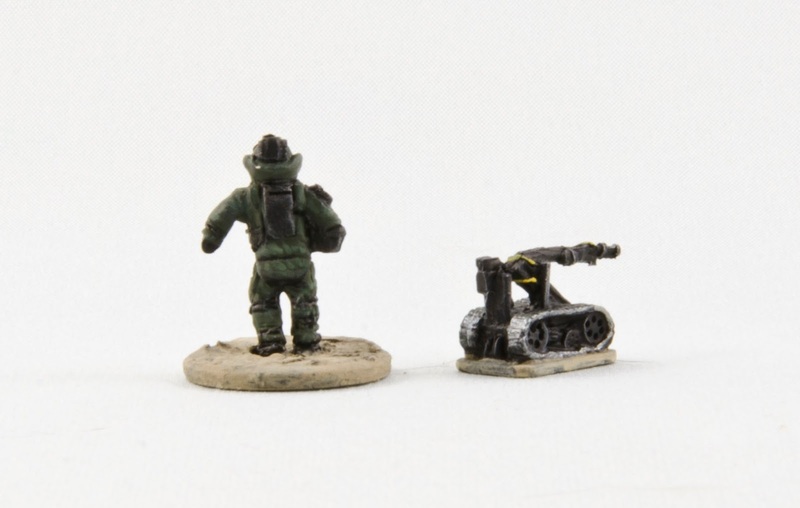 The sculpting quality of these minis is much lower than the EOD team - the kneeling guy, in particular, has a head that just looks like a blobby thumb sticking out of the top of his torso. Still, at 15mm it's obvious what they are supposed to be, so they will do the job. Hi. Just acquired some of these figures for my FoF collection so this was a timely post! Nice to see someone else doing FoF in 15mm. I've a few photos on my blog of our last game... do pop by!